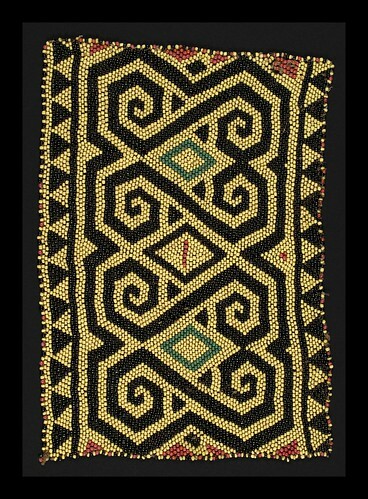 Bead Panel from a baby carrier, Basap people, Borneo 19th century, 30 x 21 cm. From the Teo Family collection, Kuching. Photograph by D Dunlop. Overall, baryon-number, lepton-number and charge are quantized and conserved because quarks are quantized and conserved. But the strangeness and angular momentum quantum numbers are defined using absolute-value functions which are not generally associative. So $𝘑$ and $S$ are not always conserved when compound quarks are formed or decomposed.